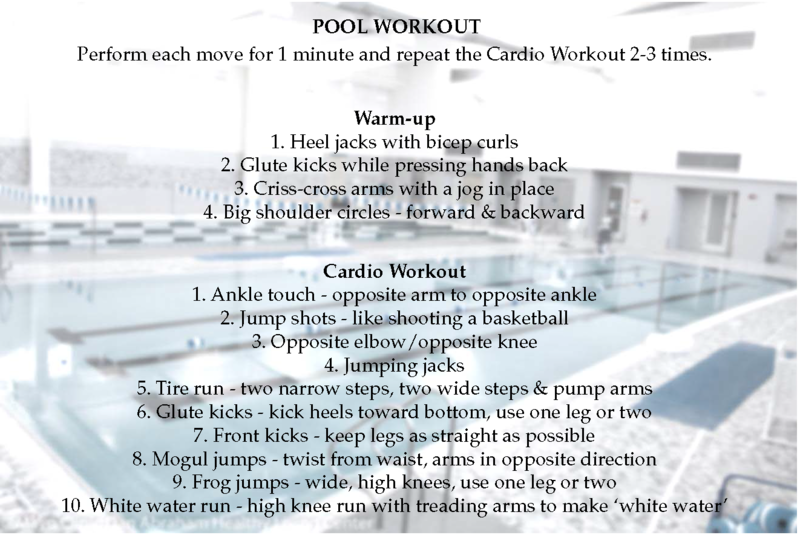 Take a dip and try this pool workout from Meg! You can find this workout laminated on the ledge by the pool. For more workouts, click here!